Sony Pictures Classics announced it has acquired all U.S. Rights to Robert Redford’s “The Company You Keep.” Redford, who directed and produced the film, also stars alongside a cast including Shia LeBeouf, Julie Christie, Sam Elliott, Brendan Gleeson, Terence Howard, Richard Jenkins, Anna Kendrick, Brit Marling, Stanley Tucci, Nick Nolte, Chris Cooper, and Susan Sarandon. Redford’s crew on “The Company You Keep” includes Director of Photography Adriano Goldman, Composer Cliff Martinez, Editor Mark Day and Production Designer Laurence Bennett. Additional producers include Nicolas Chartier and Bill Holderman. A thriller centered on a former Weather Underground activist who goes on the run from a journalist who has discovered his identity, “The Company You Keep,” will premiere Out of Competition at the Venice Film Festival and at the Toronto International Film Festival. “The Company You Keep” was financed by Voltage Pictures, who is also the international sales agent on the film. 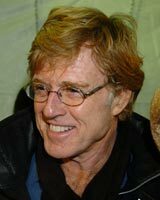 “Robert Redford’s film is classic storytelling at its best and we are really looking forward to bringing the film to the American audience,” states Sony Pictures Classics. The deal with Sony Pictures Classics was negotiated by CAA on behalf of the filmmakers.